I'm going to take a break from my usual "rants" about the injustice historians have heaped on the Model K, (in my opinion) and look at where I think the disrespect began, the Model B. Using one late author's work (and this is in no way meant as disrespect), a review of the history many Ford historians subscribe to. I believe most historians, the good, the bad, and the ugly (I'm in the last group ) use accepted information, taking as much or as little "license" as they choose to weave their story (history). 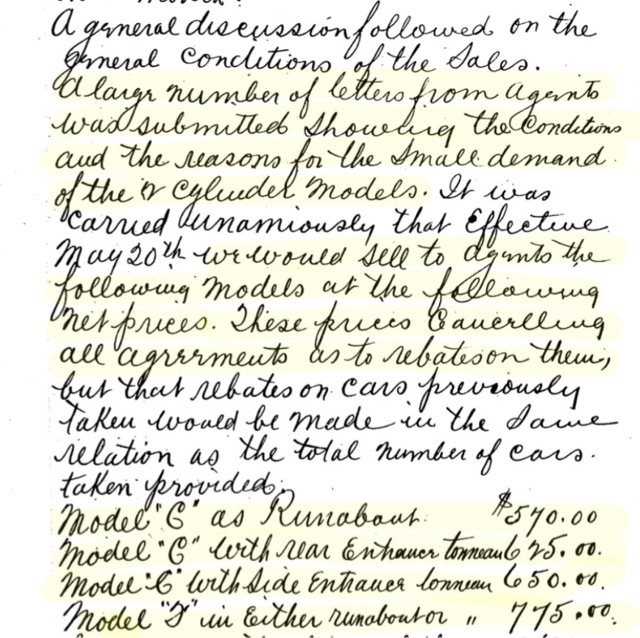 Ford Motor Company actually decreased the cost to dealers of models C and F (with no mention of Model B) because the two cylinder cars were not selling well, according to letters received from Ford dealers. Did the Model B have a foot throttle, as mentioned in the story? No, I don't believe the Model B had a foot accelerator. 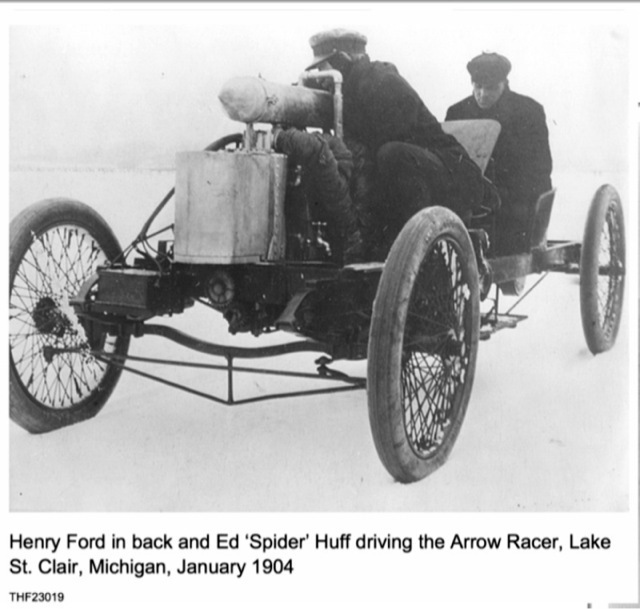 The author is referring to the Ford racer (999/Arrow) and Henry Ford keeping his foot on the throttle. Evidently 999 did have a foot throttle or accelerator. 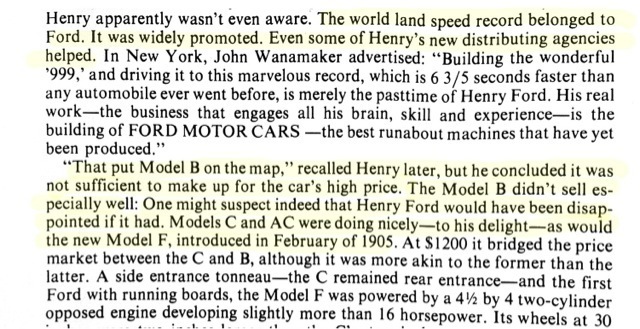 My point is, this account suggests the record mile by Henry Ford was "staged" to promote the poor selling Model B. 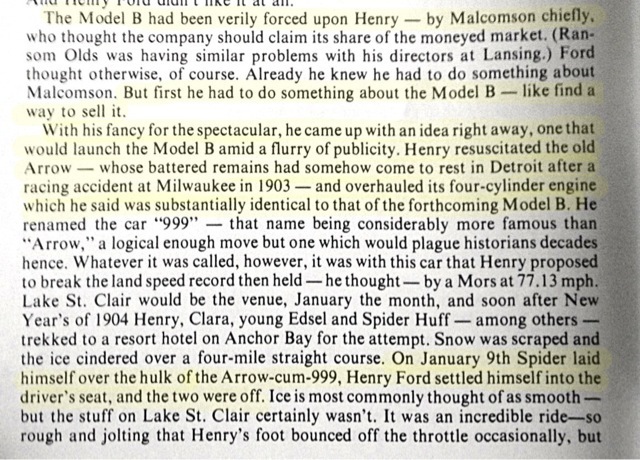 The problem being, the world record by Henry Ford occurred in January 1904. 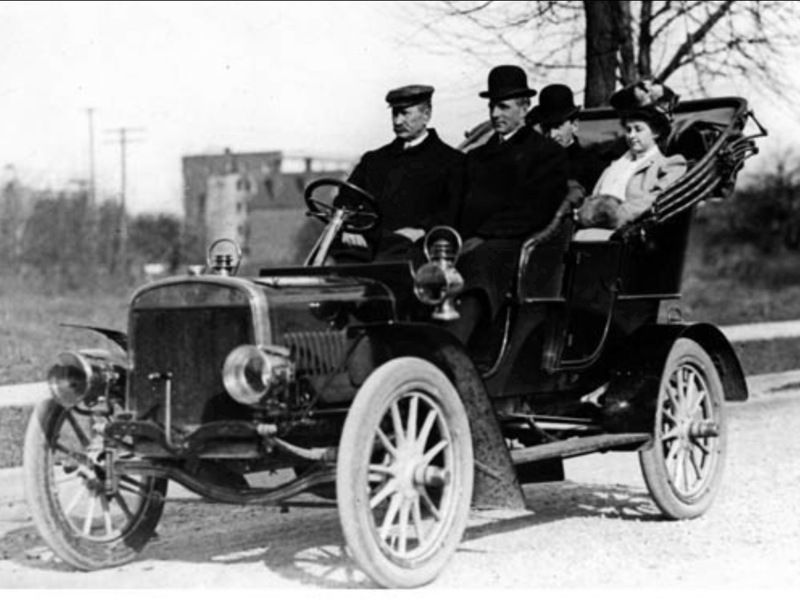 The Model B wasn't ready for production until almost 1905. There would seem to be no relationship between the two events. 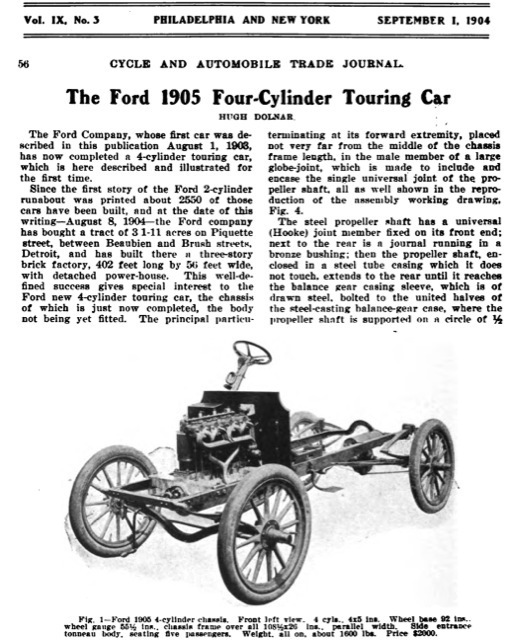 I have seen advertising throughout the spring and summer by Ford promoting the two cylinder cars and referring to the mile record, but no mention of the record in Ford advertising for the Model B.
I believe the throttle is on the left side of the steering column. This allows you to shift gears with the right hand. You can go to you tube and use 2011-09-09_14-03-24_262.3gp to see the Henry Ford's running out side the back door before the OCF. Rob, Interesting article and some great illustrations. The transmission picture showed a gas throttle pedal, but noted it was being changed to a bell crank lever on the steering shaft. 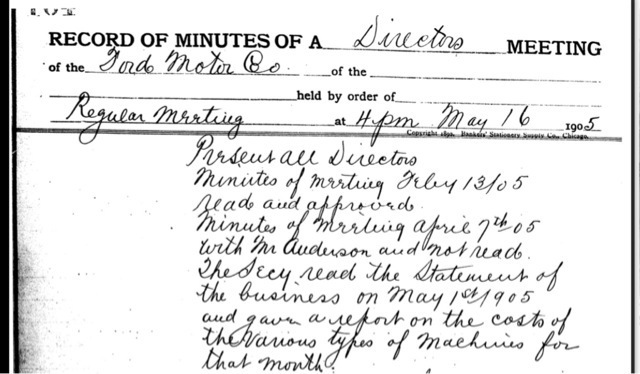 Maybe this is where the foot throttle on the Model B idea came from.